Most anglers these days carry an abundance of tech such as smart phones, tablets, DVD players and laptops whilst fishing and the one problem we all have is keeping all these gadgets charged up. Powerpacks have come a long way in recent years and lithium batteries have got smaller (approximately 70% less than sealed lead acid batteries) and more powerful so we now have a good choice when it comes to bankside power. 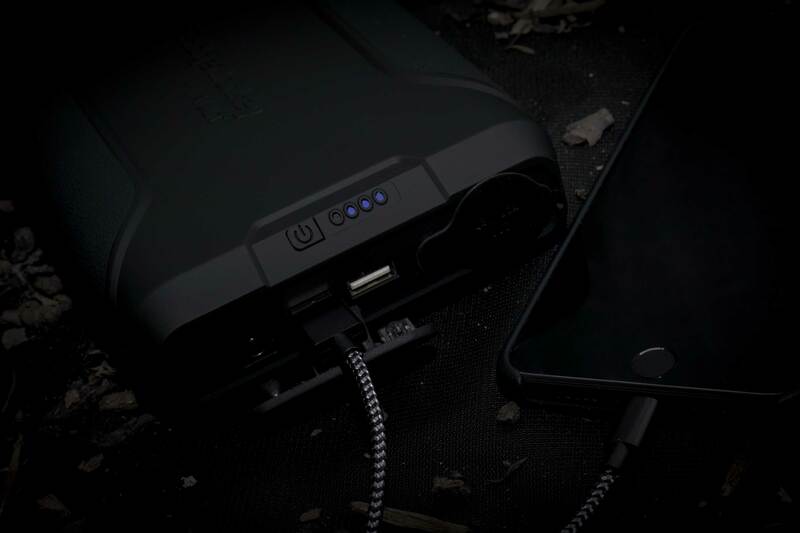 The latest in power banks designed specifically for the angling market is the RidgeMonkey vault powerpack. It has a dual output with 2 x 5v USB ports which can power phones, laptops etc and a 12v cigarette lighter output. It is roughly the size of an A5 book so it can fit in your tackle bag and RidgeMonkey state that is can deliver up to 18 smartphone charges and laptops can be charged up to 6 times. The RidgeMonkey vault power bank is supplied with protective port covers and a neat neoprene carry case to keep it safe and dry. We have used one of these in France charging phones everyday and it lasted the whole week so if you do long sessions we can thoroughly recommend it. Another great product from the guys at RidgeMonkey.